Where to Buy B&G Robco 5 in 1, B&G Robco 5-in-1 Termite Treatment Kit - Part 34610-5 - $329.95 for Sale with Fast Free Shipping! 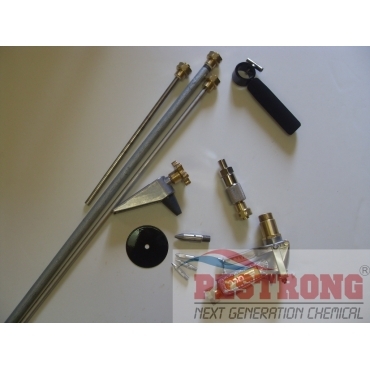 B&G Robco 5-in-1 Termite Treatment Kit - Part 34610-5 can be used as professional. Viton Nylon Line Strainer for Tank Sprayer..
Ergonomically designed, this industry workhorse is rugged and durable. The Cone-Jet Attachment allows you to easily switch from the rodding or soil injecting mode to pre-treatment or broadcast spraying quickly and easily. This Robco gun kit needed every termite job. cost effective tool. Thanks.